Dr Ian Coombes, PhD, MSc, BPharm, Adv Prac. Pharm. 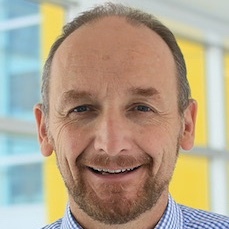 Dr Ian Coombes is the Director of Pharmacy Royal Brisbane and Women’s Hospital, and an Adjunct Associate Professor at School of Pharmacy, University of Queensland and one of the Governance leads for the Collaboration of Australians and Sri Lankans for Pharmacy Practice, Education and Research.